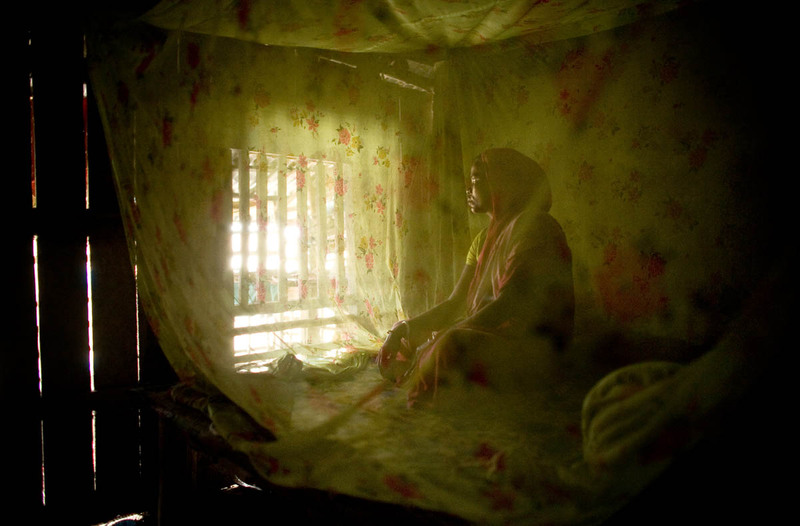 Nafeesa Begum sits inside her home in Sunderbans, Bangladesh. "We get so frightened of the tiger at night. Sometimes we are too afraid to use the toilet outside in the dark that we must use the urinate in the home" she said.